I have been harboring a fugitive in my apartment. Seriously, though. I let this one specific character in almost a year ago. We met in the supermarket. He was one of many (though he doesn’t really like it when I say that) cans of pumpkin sitting on a shelf at Whole Foods, on sale for a dollar a pop. Maybe it was his green casing that caught my eye. Maybe it was the allure of the luscious orange puree that he promised to yield when opened. I can’t remember anymore. Nor does it really matter. In the end, he was on sale. He was organic. He was “100% pure”. And thus he made his way into my shopping cart, onto my shelves, and into my life. And we really lived peaceably for quite some time. Then, yesterday, I was musing about what to cook for this next PFB challenge, which is to provided a “how-to” picture tutorial for any dish of your choosing. I was pretty set on making pizza. I grew up on homemade pizza, you see, having a father whose grandfather used to own a pizza parlor. Pizza dough making is in my blood. In fact, it is highly likely that I am actually comprised of some early twentieth century pizza dough particles. So really, it’s also in my bones. So I left for running practice yesterday morning with a plan. And came back to the image you see above. Well, there was no way I could cohabitate with him after that. He obviously had some personality disorder/mental issues and though I am supposedly being taught how to issue a Mental Status Exam and diagnose such things, in reality, I know nothing about anything. I am not a trained psychiatrist regardless of what my mother seems to think when she calls me at least once a day trying to diagnose everyone in our family with bipolar disorder or schizophrenia. So I dealt with this situtation the only way I knew how. I baked. Out came the KitchenAid stand mixer, a veritable superhero and champion of all things that are good in this world (specifically red velvet cakes, focaccia, and Italian meringue buttercream), ready and willing to aid me in the fight against deviant cans of pumpkin puree. And that was how this pumpkin-infused pizza dough was born. On a wing and a prayer. With a pinch of baker’s yeast. If you didn’t believe in serendipity, you will now. Because this was the best pizza dough I’ve ever made. The key to making dough of any kind is to make sure your yeast is still alive and kicking. To “proof it” as they say in the professional baking world. 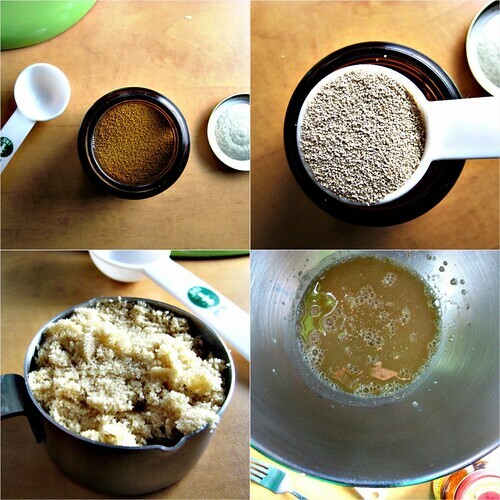 To do this, just mix 1 tbsp dry active yeast or 1 packet with 1/3 cup brown sugar and 3/4 cup of lukewarm water. I just use the hot water from my tap. You don’t want it to be TOO hot, however, as that could kill your yeast. If it’s too hot to stick your finger in for more than five seconds, then it’s too hot. Rule of thumb. Swirl it around with a fork. And then walk away from it so that it can do its thang. Just as a watched pot never boils, a watched bowl of yeast never proofs. Trust me. 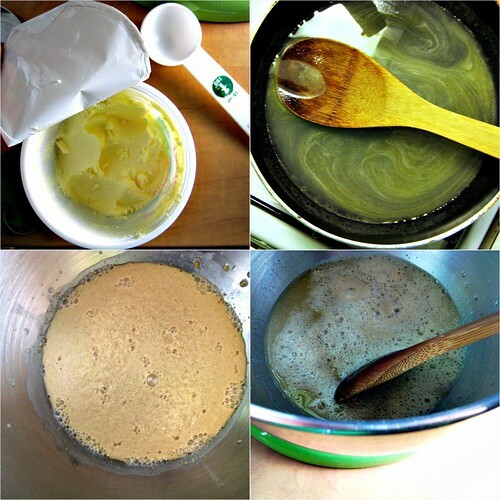 While you’re waiting, take 2 tbsp of butter and place them in a small saucepan with 3/4 cup water and 1 tbsp salt. Melt the butter over low heat. When this mixture has cooled down enough that you can stick your finger in it (remember the 5 second rule! ), go and check on your yeast/water/sugar mixture. It should look foamy. Kind of like the bottom left picture above. This means it’s alive and ready to raise the roof. And your dough. Good stuff. Pour the water/butter/salt mixture into this and mix it all together. Now, it’s time to gather your next two ingredients – bread flour and our favorite little sexual deviant, the can of pumpkin puree. I like to use King Arthur Flour for all of my baking needs. You can use whatever you want, but King Arthur Flour is good quality stuff. So if you want your bread to taste good. I would use this. Measure out 6 cups of bread flour (720 grams) into a large bowl. When I am baking, I always measure by weight. It’s way more accurate than using measuring cups and actually way less messy. Especially for yeast breads where the ratios are extremely important. Definitely worth the twenty or so bucks that I paid for it. In fact, considering all of the therapy visits it’s saved me from by sparing me from the trauma of wet droopy doughs…it’s basically paid for itself. Mix 1 1/2 cups pumpkin puree into the yeasty mixture. If you haven’t been doing this in the bowl of your stand mixture already, then pour the whole gloopy mess into it. 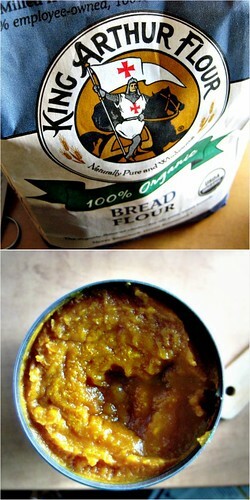 Using a dough hook, mix the bread flour into the pumpkin/water/yeast mix 1 cup-ish at a time. When all of it has been incorporated, let it beat the dough for about 10 minutes on speed 2. If the dough is seriously sticking to the side of the bowl, then it is too wet. Add more flour until the dough can be stirred for 2 minutes while staying stuck to the hook and not to the bowl. I had to add probably around 1 cup more. Plop the dough into a large bowl. Cover with a damp towel and let rise in a warm area for one hour. I like to put it on top of a preheating oven. Which reminds me, you should start preheating your oven to 500 degrees. Stat. Once it has risen, cut the dough into two equal pieces and set one aside. Take the other one and roll it into a ball. Cover it and your hands with some extra flour if it is too sticky. At this point, the clouds may part and the heavens may open up, shining their light down on your ball of dough. I don’t guarantee it. But it is certainly possible. Take a pizza pan and lightly dust it with flour. Using a rolling pin, roll out the dough until it just about meets the edges of the pan. If you find that it is resistant, let it sit for a minute or two. Turn on some light FM. Drink a glass of white wine. Dim the lights. Really foster a relaxing environment. Then, when it’s got its guard down. Go at it again. And voila! You can now breath a sigh of relief. Firstly, because the hard part is over – you have just made your first pizza dough! And secondly because, man you have shown that pumpkin puree. He will not be trying to jump into your bed anytime soon. Although that’s more than I can say for your mouth. Oh, and remember the half of the dough that we set aside a minute ago? Wrap that baby in plastic wrap and pop it in the freezer. You’ve just got next week’s dinner in the bag. Amen to that. The beauty of pumpkin pizza dough is that you can really take it in any direction you want. 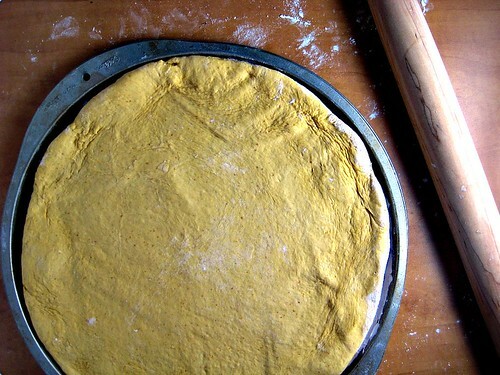 Mix a little cinnamon and ginger into the dough while adding in the flour, and you have the makings for a dessert pizza. 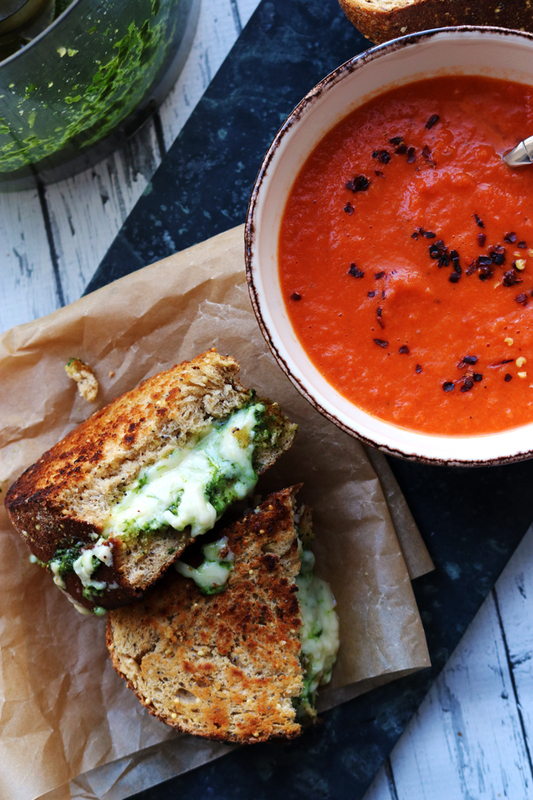 You can go the traditional route and top it with some cheese and tomato sauce. Or you can really shake things up, as I did, by piling on the spice. In the form. Of curry. You have doubts, you say? Well, I did too. However, the spiciness and heat of the curry is complemented beautifully by the subtle almost-sweetness of the pumpkin. Trust me on this. I may not be the millionaire matchmaker but I know my flavor pairings. Especially when it comes to a certain orange vegetable. Slice two onions into thin slices. Saute in 1 tbsp oil and a pinch of salt for 20 minutes over medium-low heat or until the onion is slightly brown. Add in 2 tsp curry powder. Throw in about 7 cups baby spinach. Saute, continuously stirring all the while, until the spinach is wilted. Taste for seasoning. 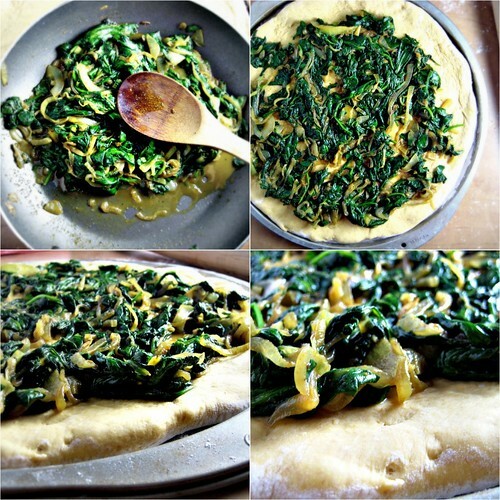 Using a spoon, place the spinach/onion mixture on the pizza, trying to leave as much liquid behind in the pan as possible. Cut up some fresh mozzarella into thin slices, about 8 oz. Layer it onto the pizza. Cook at 500 degrees for 10-15 minutes or until the bottom of the pizza is a light shade of brown. Cut into eighths. And enjoy. Inspiration for this pizza dough was gotten from What’s Cooking Mexico. This has been yeastspotted and will be also making an appearance over at Meatless Mondays. 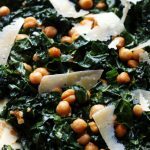 This has been linked to Marla’s Happy Post on Family Fresh Cooking! This is my entry for Project Food Blog Challenge #4. If you like what you see, I would really appreciate it if you would head on over tomorrow (Monday, October 11) after 9AM and vote for me! Thanks so much to everyone who voted for me in last week’s challenge. I cannot and will not be able to do this without your support! And I am eternally grateful to those who have propelled me along thus far. It’s been a crazy fun four challenges…so please help me to stick around for more! 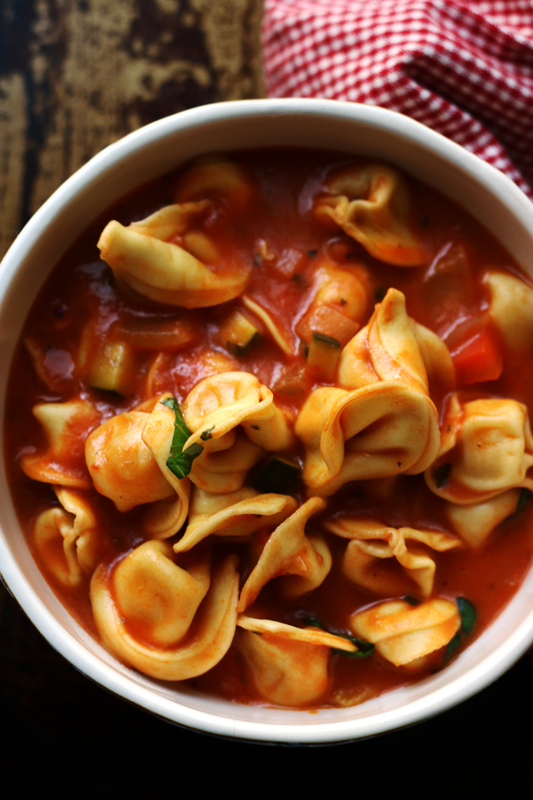 Today is your last day to enter into my challenge over at MarxFoods! So please go check it out. There are some FUN prizes! Also, please send me your entries to Regional Recipes: GERMANY by October 31st! Great instructions and your pizza looks phenominal. Congratulations on making it to the next round, Joanne! 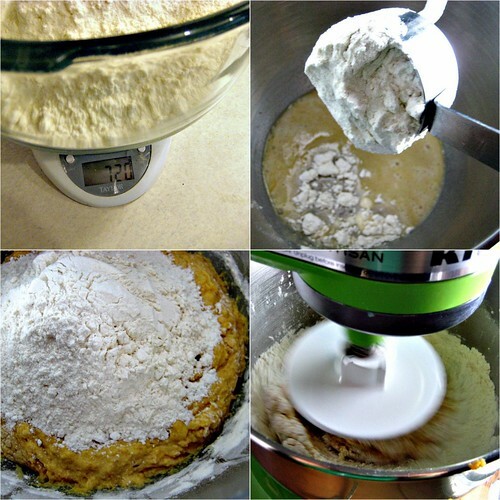 I loved this post- besides the fact that your pumpkin pizza crust sounds awesome- but it was rather informative too(never heard of the rule of thumb for water temperature & measuring out flour makes so much more sense and way less messy! )And also because it was cute and funny with fantastic pictures. You’ll have my vote! Good luck! wow! I am often speechless when I come over here to check on you; would LOVE to try this as I am a BIG pumpkin fan; I imagine it tastes very good, with a hint of sweetness, like a roll would. Oh my! You are really letting your inner child out in the kitchen J.! cool! i’ve never seen pizza made this way before! this looks like an awesome combination. Excellent! The crust looks perfectly perfect! And I love the curry topping alot! Good Luck with the round 4! Oh I’m so happy you made it to the next round and want to eat my computer screen – nice work, once again! Congrats! Congrats on the next round! WOO HOO! Okay, the photo of the can in bed has me rolling! 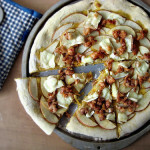 What a wonderful step by step post and this pizza is amazing!Love it! I will never look at pumpkin puree the same way again, lol! This pizza is everything a girl could want in life…it looks phenomenal, Joanne! Your grandfather owned a pizza parlor? My grandfather owned a dress shop. Yawn. I find it only fitting that you, the bread-baking queen, would choose something along those lines. Bet your grandfather never made pizza crust like this though…brown sugar, butter, and pumpkin? Um, I don’t even need any toppings, girl. That sounds so heavenly. Great tutorial. Can you say Round 5? I was so excited to see you make it through! I’ll so be voting! I am planning to make a pumpkin cake today and I’m not sure I’ll be able to look at the pumpkin without thinking of this! Too funny! I will be voting and SO be trying this pizza crust! 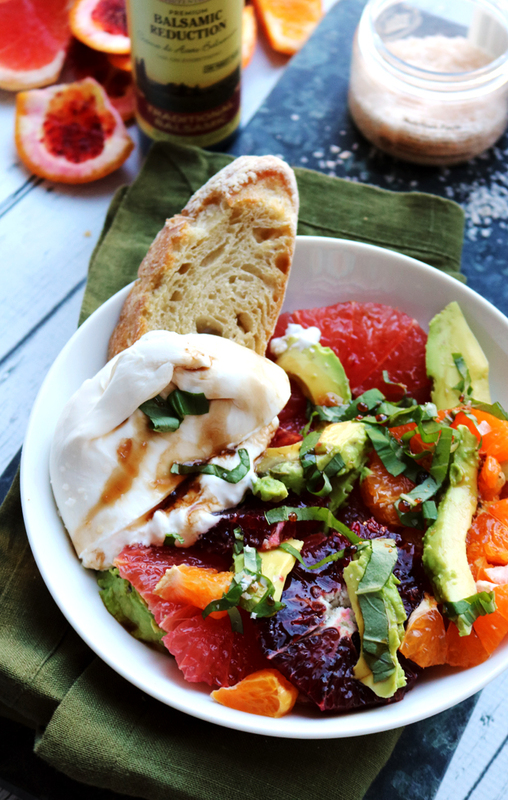 First of all, congrats to be on the 4th round of Food blog challenge, it is well-deserved!! I had such a good laugh reading the adventures of the deviant pumpkin can! And I am so happy of the ending in such a fantastic-looking pizza! What a crazy combination of flavors. I love it! This looks and sounds like the weirdest but most delicious pizza out there. I am going to have to give this a try. I am always a sucker for pizza you know that. I wouldn’t say no to such a masterpiece. Goodness me, what a challenge Joanne. Your pizza sounds so original, and unique. Good luck! 1) I firmly believe pumpkin makes just about everything better, and pizza dough is already fairly awesome, so I can just imagine how amazing pumpkin pizza dough would be. 2) Sometimes I play “guess the ingredients” using only the first picture. I was sure the white stuff was poached eggs, not mozzarella. 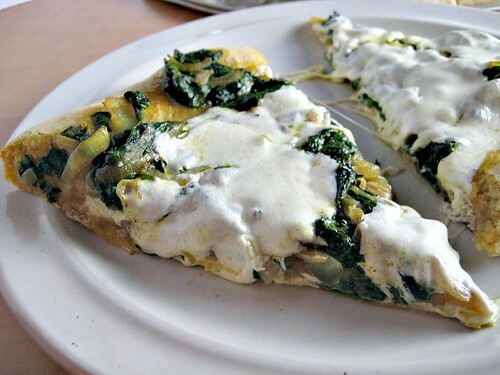 And now I’m DYING for some spinach and poached egg pizza! I think this is the first time I came across such a mix of pumpkin and pizza crust. And of course, in India, we’re used to curry on pizza! This is an excellent looking pizza. Never thought to add pumpkin into pizza crust. You’ve got my vote. This looks delish! of course you are getting my vote chica! Your post reads like a Tom Robbins novel. Love it! 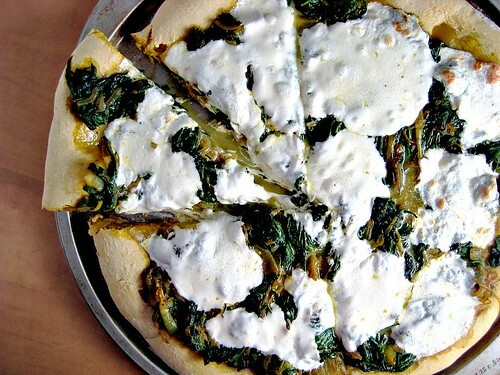 I love Indian-inspired pizza and this one looks fabulous! Yeast and I do not have a good history together though so when I make this I will be purchasing my dough from TJ’s. That way, I know it’s edible! I’m keeping my fingers crossed for you Joanne! 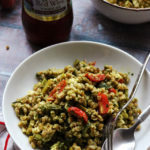 Lovely recipe, looks fantastic! DANG! Curry pizza? I love it! I had Mole pizza in mexico (dough, mole sauce, chicken and onions) but this looks amazing. I am going to have to try it out! Curry Pizza looks delicious. I like it as you put pumpkin puree into the dough. 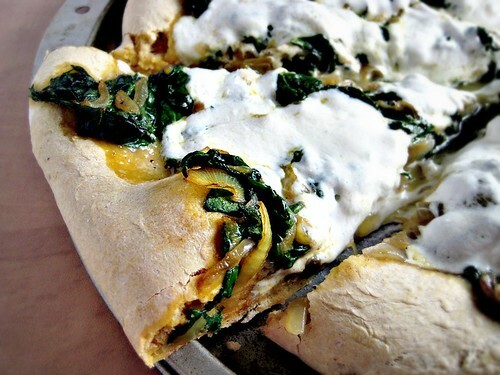 OH my goodness, curried spinach pumpkin pizza… I want some now!! good gracious this looks GOOD!!!! Congratulations on making it to the next round!! This pizza looks amazing! It sounds and looks delicious and you’ll get my vote! oh man, I just got back from the store with pizza ingredients and now I wish I was making THIS pizza! Looks delicious! Good luck in challenge #4! Wow this looks awesome and mouth watering! A very detailed and descriptive blog. What a delicious and incredibly clever recipe. Great instructions! Pumpkin pizza dough? You are brilliant! I’m so in love with this idea, maybe I’ll attempt it soon! Is that a “finger tip” or “rule of thumb”, ha ha? Am I the only one that missed the hilarity of those two lines? I’m giving you my vote for sneaking that in there. Very nice post Joanne. This pizza left me literally speechless (so its a good thing I’m typing this comment)! 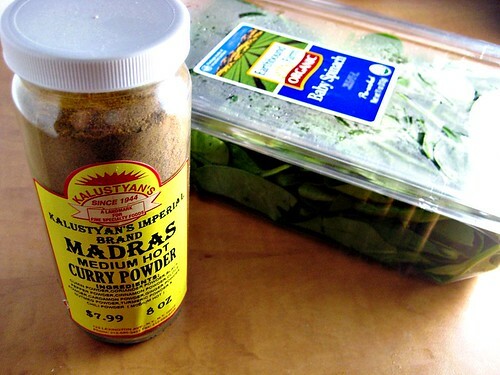 The homemade pizza dough, the spinach and the curry, especially made this recipe a definate must-try! I know my kids will flip over this! Congratulations! This is an amazing pizza, Joanne, really, I love the crust and the toppings are just beyond creative and delicious! You’ve done a good job! Will vote for you too! Will be voting again. Duh. Crazy, wonderful girl, you. See you in round 5, I’m 100% positive you’ll breeze by to the top! p.s. Did you know the next challenge is to make pizza too? If only I had a slice right now. Do you deliver Joanne:D Good luck in the competition! I’m going to vote for you tomorrow!!! Best of luck! Oh man my mother has tried to diagnose everyone in my family with schizophrenia too. “But your brother hasn’t cut his hair for at least 2 years! 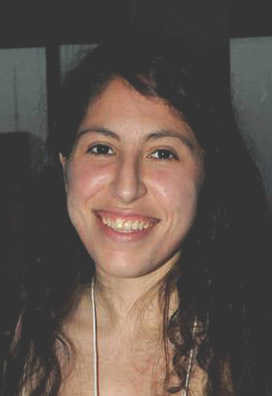 Isn’t self-neglect a symptom of schizophrenia??”. Random fact: you know you can’t buy tinned pumpkin in Australia? Well maybe there are specialty stores that stock it somewhere, but otherwise, it doesn’t exist. No puree, no anything. But pumpkins are always in season (somehow) so it’s just a matter of cooking and pureeing it. But seriously, I was baffled when I started encountering tinned pumpkin on food blogs. I shall have to roast and puree some pumpkin then because this pizza is basically straight out of my most fantastic dreams. Would it sound weird to hear how gorgeously exotic your can of pumpkin puree and king arthur packaging looks – something I hear about so much on blogs but never encounter in our shops! I am sure I would fall in love with your little pumpkin fellow but would also draw the line at the bed. 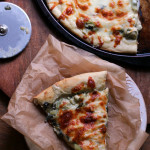 They make the pizza seem all the more enticing – though I need little to convince me of the greatness of combining pumpkin, pizza and cheese – have bookmarked and must bake it! I love your green mixer! I think that can of pumpkin as gotten a lit-tle to cozy there! Seriously, what an amazing pizza! Off to vote…. As always…entertaining writing, innovative recipes and a delight from start to finish. You have my vote sweet woman! I am still amazed you have the time to do all of this. You are one talented beautiful person! Wow. Fabulous. I love that flavor combo and I could certainly learn a thing or two from your pizza expertise. I make a tasty but very ugly pizza. 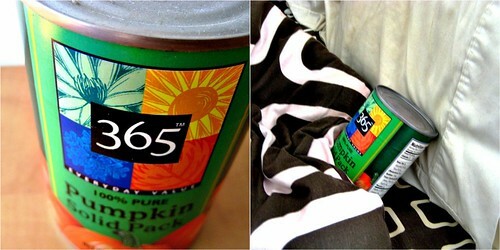 I always end fall with random cans of pumpkin in my pantry too. Pumpkin in a pizza crust is something I’d have never thought of, but it sounds delicious! Love your photos! How do you come up with all those cool recipes?! I have a pumpkin focaccia that I make often and the sweetness of the pumpkin really makes a wonderful addition. Pumpkin, pizza Oh, I would love to make this goody soon. Thanks for sharing. This looks so delicious, I’ve got to go get a pumpkin and make it right away. I absolutely loved the photos. This home made pizza & the pizza dough looks the best!! I so much love the step by step guide as well! MMMMMMMMMMMMMM,…Kisses from Brussels to you! This is one of those “never would have thought of it” pizzas! And what a great idea,too. Good luck on this round, Joanne! Homemade pizza was a great choice for this round of the challenge! Of all the things I make in my kitchen, homemade pizza always fills me with awe. It’s really is amazing how such simple ingredients combine to make such a work of art. Love that you were able to combine your love of pizza with your love of squash. The pizza looks amazing! P.S. 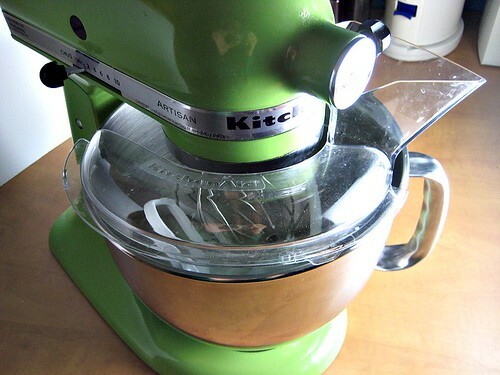 I’m eyeballing that cute green mixer! This post is tres yum. I’m not sure I could ever be so talented as to make pizza dough from scratch, but it sounds delish to me. I’ll go vote for you, good luck! You continue to amaze me with your creative recipes! I totally love the sound of this pumpkin dough. And the topping rocks! And how neat that your Grandpa owned a pizza shop – my idea of heaven. Voting and tweeting! Hooray! Congrats on making it to the next round. This pizza looks FANTASTIC and so creative – yum!! I am off to vote. Your pictures absolutely are DROOLWORTHY!! Great job. I want to try this pizza NOW!! great post, I knew you would step it up…and you did, great step by step and wonderfully tasty outcome, you have my vote..
Holy deliciousness! This is seriously outrageous! You completely outdid yourself with this one! OOOOOH YUMMMM. Wow, how interesting! What a perfect fall pizza =). You little genius–I never would have thought of adding pumpkin to a pizza crust! This looks incredibly yummy …especially the pumpkin twist to the dough!!! yum! voted for you!!! that. looks. amazing. and i want to eat it right now! you win my vote! I go around muttering Germany and pumpkin pizza and vote for Joanne. OK, you made that miraculous pizza so I can forget about it unless, I decide to make it. I can just mutter Germany and Vote. Once, I vote, there is only Germany to worry about. I think, I should leave that to Obama. 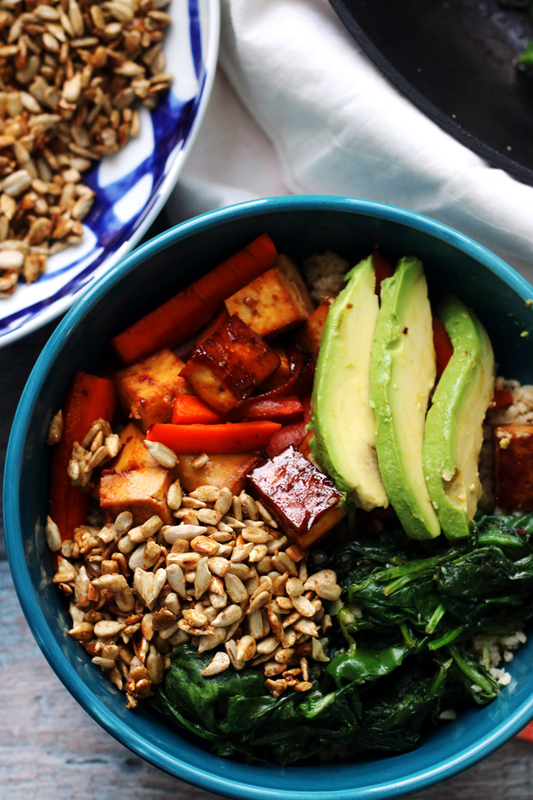 Thanks for linking up to My Meatless Mondays. I don’t see a place to vote when I click on your go here. Lots of other info. Help. I love this recipe!!! But I think it would be more helpful if you listed the ingredients and their amounts too. What an awesome looking pizza! No seriously – pumpkin in the dough – freakin genius. And as always, you crack me up! I just love love love love love your writing style. I did vote for you!!! This looks fabulous. What beautiful pizza. Gosh i am gng to keep cmg back to this! Voted for ya and love the step by step , so muc fun to see !! Congratulations on getting into the next round, love! Go! All! The! Way! I voted! This looks amazing, Joanne! Even more so than your usual which looks pretty darn awesome. I had a curried paneer naan pizza at a restaurant once and couldn’t get the idea of curry pizza outta my mind. This is just what I need in my life, by which I mean mouth :). 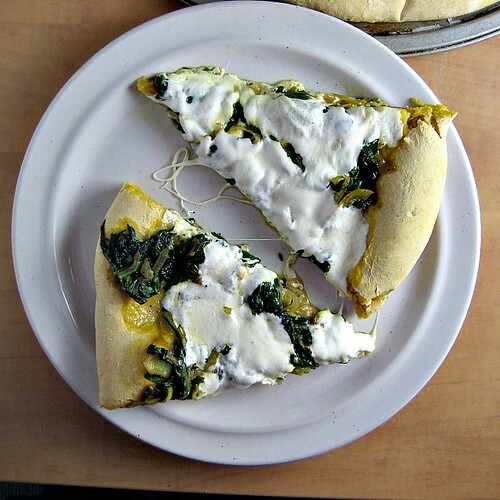 Curry Pumpkin Spinach Goat Cheese…WHUT? this sounds absolutely DELICIOUS, and you know you’ve got my vote!! Great tutorial! 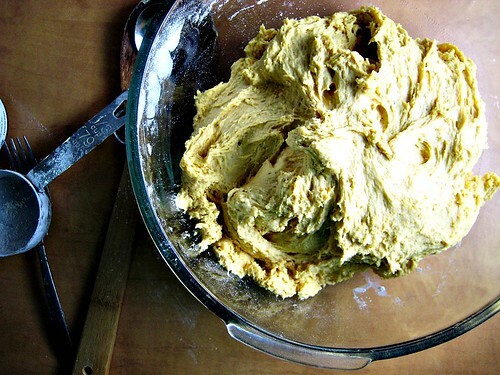 The pumpkin dough sounds amazing, and your photos are really, really lovely. I can’t wait to see what you do for the next challenge. I voted for you! As always, Joanne, you make me smile. Everything you write and everything you make is simply phenomenal. And I was with you the whole way until you said that some people (certainly not me!) might doubt the pumpkin and curry combination. It sounds perfectly natural to me! The pizza dough sounds amazing and if my home were just a little more welcoming to carbs, I’d be all over it, stat! I’ve got a few cans of pumpkin stowing away in my cabinets. And I know just what to do with them! Excellent tutorial, I’m voting for you right away! That pizza looks insanely good, and it’s not just because I’m starving right now. I think you might just be composed of some pizza dough particles because that is one inspired piece of pizza-making. Go you! 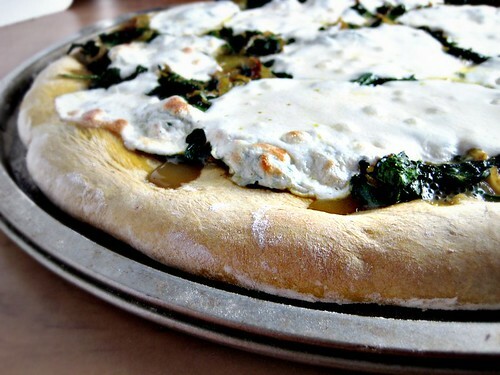 This pizza is nothing short of amazing! What a great combination, and that crust! Wow! And although I have my own Kitchen Aid mixer, I have to say I’m envious of that perky green one you have there. That just makes you want to mix in it! WELL. Let me just say, I don’t which I like more. Your saucy pumpkin story, your mixer, or your pizza! Love ’em all. Good luck with the Project Food Blog Challenge! 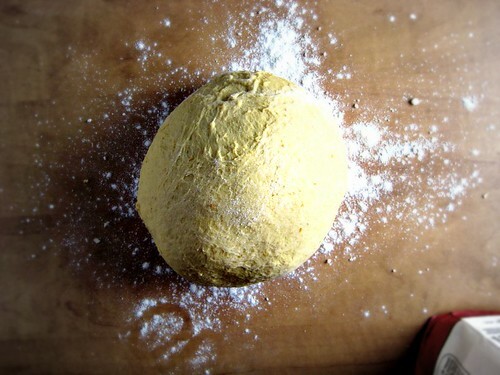 2) Brilliant plan to make pumpkin dough, I’d love to try that next time. 3) Love the curry in the topping! This pizza looks evil! And i say that in a good way. Now craving it at this ungodly hour. Eeck! THis looks amazing I definitely want to try it out! Great pictures!!!! I struggled to read this post without giggling the whole time, you’ve got my vote. Are you going to use this dough again for next week’s challenge? This looks amazing! Again! You’ve got talent, lady. you better advance, that’s all i have to say! voted. this pizza rocks my face off! ps. please say you’ll be at the foodbuzz festival?!?! Wow. Never seen a pizza quote like this–def. a must try. This is a fanTAStic idea!!!! Eeeek! I love it! You have a vote from me! Wow this is one of the most awesome pizza creations I’ve ever seen! I love that you added curry powder and of course the pumpkin dough sounds amazing! You know how smitten I am with ALL your recipes, I am so glad you linked up. Thanks girl! AHHHHH!! I have had this little voice in the back of my head telling me that I needed to figure out how/find a recipe for making pumpkin pizza dough… Thank you! I love the toppings idea, too! Hello, I tried this recipe for last christmas with my family. It was absolutely horrendous. Curry and pizza dough are an absolute forbidden pair.